You’ve submitted your resume to a hundred companies over the last month and have not received a single invitation for an interview. Needless to say, you’re very frustrated and are not sure what’s going on. You know that you’re qualified for the position with the adequate experience and education but you just don’t seem to be having any luck. What could possibly be going wrong? 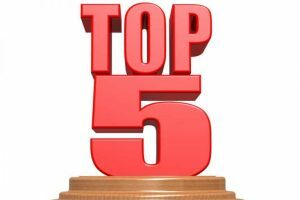 There can be numerous reasons why you’re not getting an interview; however, the five reasons listed below are the most common ones according to recruiters. Applicant tracking systems (ATS) are the software systems used by companies to manage the masses of applicants they receive for each job. The ATS works by having recruiters perform a relevant keyword search for the specific job that includes the most important skills, qualifications, education, certifications, etc. and then ranking/scoring your qualifications based on the job description posted. Only those applicants who receive high scores will get a called in for an interview. According to Jobscan (2016), 90% of Fortune 500 companies utilize some form of an ATS. 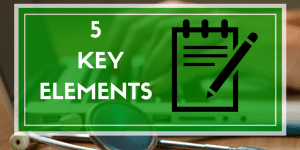 The best way to optimize your resume for ATS is to ensure it includes the most relevant keywords that are required for the specific job description. Providing examples of how you’ve utilized the relevant keywords in your experience will make your resume much stronger than just listing the keywords. Additionally, your resume should be formatted properly for ATS by not including tables, graphics, colors, fancy fonts, accented words, incorrect headings, and complex formatting. It’s very important to have at least a basic understanding of ATS or your resume may never actually be seen by a person. Think of your resume as a marketing document that is designed to “sell” you to prospective employers rather than a laundry list of job descriptions. LinkedIn (2017) conducted a detailed study of hiring managers and discovered that the average recruiter spends only 6-seconds reviewing a resume, which means that your resume must immediately demonstrate the value you can bring to an organization. The most important thing that will really help you stand out from the competition is to identify the value you’ve added for each job. For example, assume you’re a Financial Analyst and are applying for Senior Financial Analyst positions. If your resume just provides job descriptions such as “Responsible for forecasting monthly/quarterly P&L activity and tracking actuals” or “Ensuring compliance to all delegated internal and external audit controls,” then any hiring manager reviewing your resume would want to know why they should hire you and what makes you different than the listed job description. 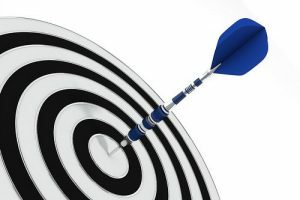 However, if you clearly identify the value that you bring and include highlights such as “Led team efficiency improvements that resulted in a 50% reduction in department headcount” or “Increased efficiency 25% by streamlining the month-end close process from partnering with site leaders,” your resume will be markedly stronger. Including quantifiable data (numbers) is ideal but qualifiable data (without numbers) is also great assuming it showcases your value. Having an optimized resume that effectively markets you is not enough today (2018). Every professional must have a LinkedIn profile that works in concert with their resume. LinkedIn allows you to directly connect with people, identify decision makers, and apply for jobs. According to U.S. News & World Report (2017), nearly 95% of recruiters utilize LinkedIn as a major sourcing tool to find and vet candidates. Think of your LinkedIn profile as an extension of your resume with two key exceptions. First, your LinkedIn profile should have your picture for recruiters to see. Second, your LinkedIn profile isn’t limited to a two-page resume format and may include projects completed, professional associations, volunteer work, publications, patents, skills endorsed by others, and other information that presents a more complete branding of you. 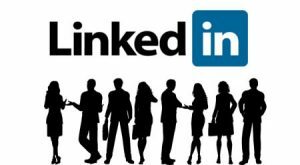 LinkedIn refers to a completed profile as an “All-Star” profile, and according to LinkedIn (2016), people with an All-Star profile status are 40x more likely to receive opportunities including job offers, new clients, new markets, and news connections. Writing a great LinkedIn profile will include the seven elements necessary to to reach an All-Star level: 1) a profile picture, 2) work experience, 3) at least (5) skills listed, 4) a LinkedIn summary, 5) your industry/location, 6) education, and 7) at least 50 connections. 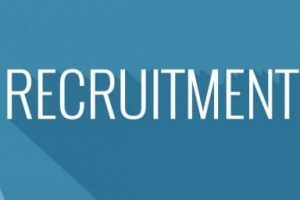 According to UpToWork (2018), 45% of recruiter’s state that resumes will get rejected for not including a cover letter. A cover letter can make the difference between getting called for an interview and having your resume be disregarded. Your cover letter is typically the first impression that you present to an employer and not only complements your resume but offers an introduction to the recruiter of who you are. Three things should always be included in every cover letter. First, address your cover letter directly to the hiring manager. This is where you can utilize LinkedIn to target decision makers.Second, you should clearly indicate why you are the best candidate for the specific job you are applying. Finally, you want to clearly indicate why you want to work for the company. 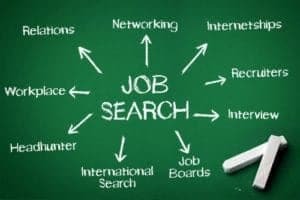 One of the biggest errors that most applicants make when applying for jobs today is only utilizing job boards and company websites. 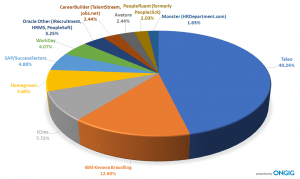 According to the Society for Human Resource Management (2017), although 62% of job seekers apply externally through job boards/company websites, less than 15% of candidates hired actually get recruited from these sources. Connecting with the right people who can offer you a job is the only way to get hired! Short of personally knowing someone, understanding how to use LinkedIn for your job search is your best resource to connect with people, identify decision makers, and apply for jobs. Executive recruiters are another way to network within the market. Local and national recruitment agencies can become your advocate and represent you for various positions. It’s a free service, so worst case scenario is that you reach out to them and they have nothing available. Finally, a highly effective strategy that is rarely used today is following up each job application with a hard copy of your resume/targeted cover letter to the decision maker via physical mail. You can nearly guarantee that 99%+ of all applicants will only use online resources to submit their information, which means this will clearly distinguish you. Although our economy is currently (2018) in the second longest bull market since WWII, applying for jobs is a job itself that requires time, intelligence, and know-how. Understanding and addressing the five reasons you’re not getting an interview: 1) your resume is not optimized for ATS, 2) your resume does not “sell” you, 3) not having a completed LinkedIn profile, 4) failure to include a targeted cover letter, and 5) only applying through job boards/company websites, will dramatically increase your chances of success. Check to see how well your resume “sells” you with our free resume review!